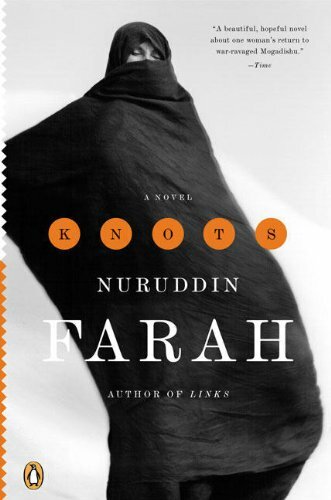 Knots, set during the civil war in Mogadishu, tells the story of Cambara, a Somali born woman who leaves her broken life in Canada and returns to her homeland. After a betrayal by her husband results in the accidental death of her young son, Cambara builds a mission for herself; a mission to return to a city in chaos and reclaim her family’s property from a minor warlord. Farah no doubt, shows his ability to capture the reader’s interest, to guide us through a very human story set in the cruel circumstance of war. He presents characters that are living consequences of their situation and avoids making them empty, war-worn souls. 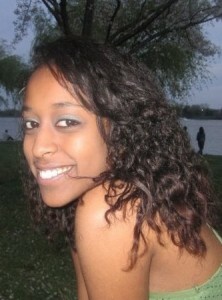 Farah portrays Cambara as a heroine, a woman whose devastating loss has made her daring, made her a woman, unrelenting. However, as the story progresses, I found that although Cambara has boatloads of conviction, she is hardly a figure upon which such grandiose plans can be loaded, upon which we can rely to execute such plans with bravery and ferocity. Throughout the novel, Cambara constantly enlists the help of others. Although this serves to show that people can be generous in the most difficult of circumstances, at times, it takes away from the character we want to believe Cambara is, from the force we expected her to be when we first heard of her plans. Knots is a book that depicts a war ravaged city without making this the end-all-be-all of its people. I found the strength of this book in characters like Kiin, a woman who runs a hotel and makes a good life for herself and her family in Mogadishu despite having the means to leave. We see her with other women, like Raxia, a doctor, running a ‘Women for Peace’ network with courage and commitment despite the consequences they may face for some of their efforts. This portrayal of purposeful characters that not only build their lives in the most difficult of circumstances but also dedicate themselves to ameliorating the conditions of others, allows the reader to glimpse full stories where war is not center stage and where humanity can be found in the midst of chaos.